1. to get through what is turning out to be an absolutely terrible winter, i ordered two big cozy sweaters that have a teeny tiny bit of cashmere. 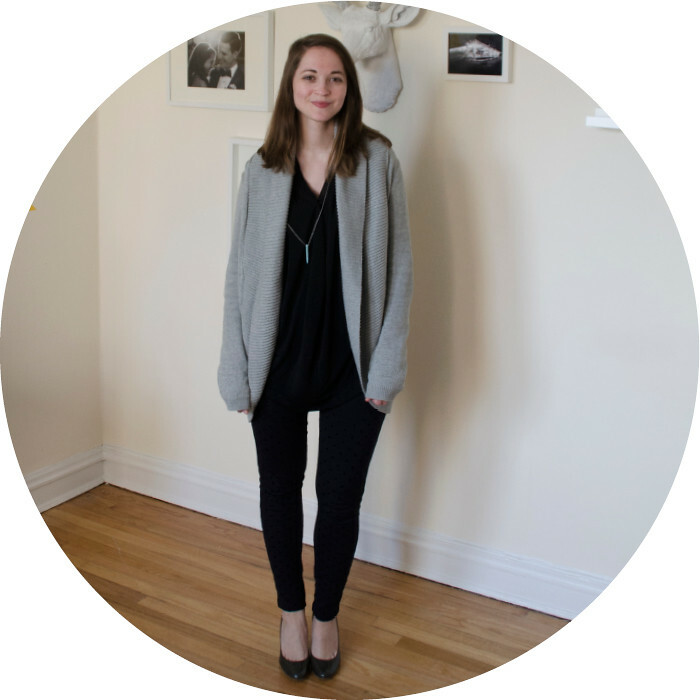 (i wore this cardigan's cowlneck cousin last week on da blog.) it seems like more and more sweaters are made of acrylic and start piling as soon as they take their first swim in the washer, but these cotton-based ones are holding up really well. 2. i may have sized up is this cardigan and therefore ended up with built-in mittens! creative: how is that i am strong advocate for bright colors for interiors, yet seem to wear neutrals more and more? at least i wore a turquoise necklace! young: there are dots on my pants. i also buy lots of toddler-size leggings for my nieces a similar print. maybe that's a little too young. professional: patent wedges for the win. we search. we find. we shopstyle.